As we started our new school year, I challenged myself to be a bit more outgoing and to stretch myself through our homeschooling. Last year was so hard for me. I did just enough, so I could get their schooling done, but I didn't feel like we truly got to have time to explore and learn hands on....mostly because I wasn't up to it at the time. Thankfully my children are very forgiving and have been giving their mama time to grieve. They give the best hugs and are always such a great support to me. They have learned from the best (their Dad). This past week we invited some friends from our co-op over for a bit of science fun. My friend Jen and I both came up with some experiments that the kids could do that dealt with water. The kids had a blast! One of my favorites was the mysterious rising water experiment. The children loved this one! They were able to get hands on, lighting the candle and covering it with a glass jar. I found this experiment over at Ten Kids and a Dog. 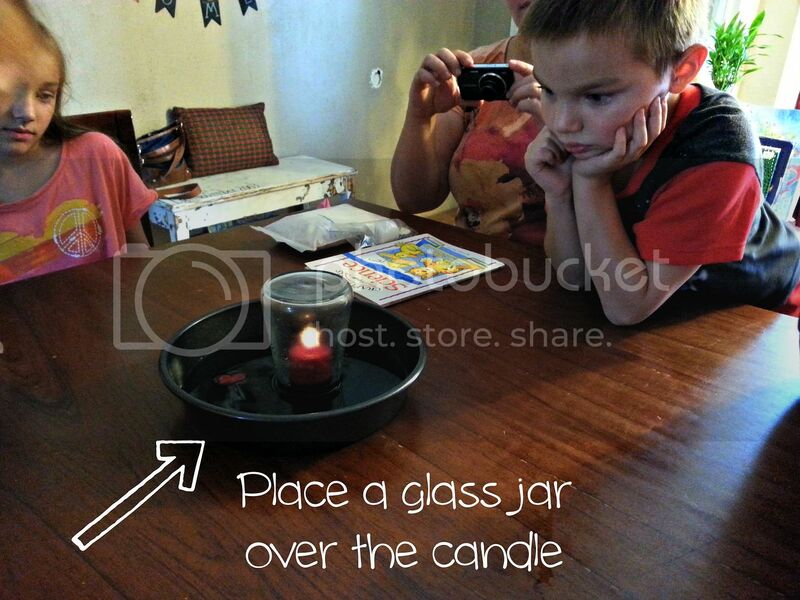 I have been bookmarking all the fun experiments Joann does with her kids. 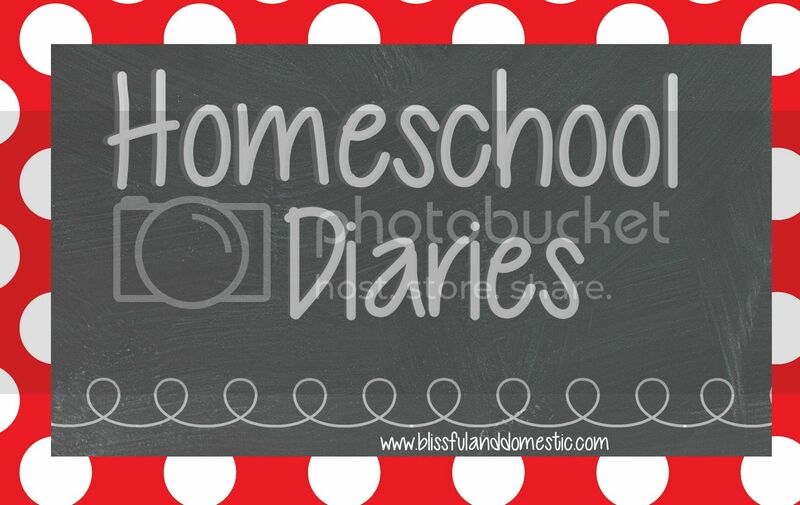 So many great homeschool ideas! You could also do a science themed family night! I did not use a kit, like Joann did. I used items I had around my house. This experiment cost me 50 cents. I didn't have a candle, so I ran to Wal-Mart the morning of the experiment, so we would have one. I ended up getting a few to keep in our school stuff. I have big plans for many experiments in our future. This one was too fun! Ready to try the experiment yourself? Pour 1 cup of water into a pie tin. Use your food coloring to color the water. The kids decided on blue and green to color the water. The more you can let little hands help the better. It keeps them focused and engaged with the task at hand. It allows them to fully experience it! The kids were great at taking turns and sharing! 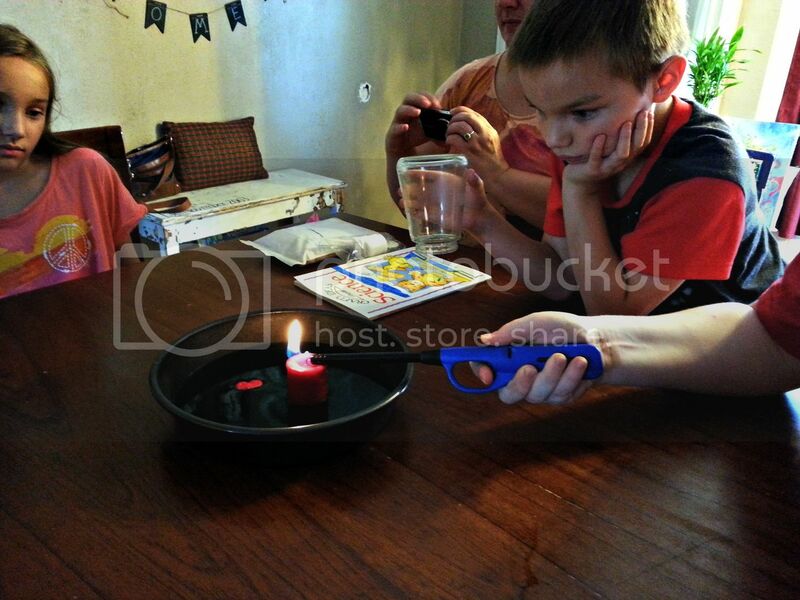 Next you need to put your candle in the middle of the pie plate in the water. Light the candle. I let Keagan help with this part, since he is a bit older. He loved the responsibility. Place the jar over the candle. The candle heats the air in the beaker. When the candle goes out, the air begins to cool, causing a difference in the air pressure, forcing air out of the jar and causing a vacuum making the water fill the jar. This was one that the kids asked to do a few times. We let each child have a turn covering the candle with the jar. After we were done with our experiments, Keagan went back and did this one a few more times. He thought it was too cool! I definitely recommend this one. Try it out with your littles. They'll love it! Oh, I love this idea! I would use it for a FHE too :) There are so many ways to apply this experiment. Just wait until Tuesday, I have a fun experiment planned for the kids, elephant toothpaste, but don't tell them. Sam.